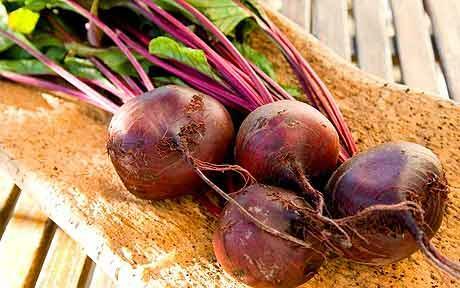 Researchers have discovered that drinking a just one cup of beetroot juice can lower blood pressure. Scientists from Barts and The London School of Medicine and Dentistry, explain in the Hypertension Journal that nitrate in beetroot widens blood vessels which allows blood to flow more easily. They explain that the key is the high nitrate levels the vegetable contains. Dr Amrita Ahluwalia explained "We were surprised by how little nitrate was needed to see such a large effect.Our hope is that increasing one's intake of vegetables with a high dietary nitrate content, such as green leafy vegetables or beetroot, might be a lifestyle approach that one could easily employ to improve cardiovascular health." There is one amusing side effect of drinking beetroot as it can turn your urine pink. Remember to discuss any planned changes to your diet with your doctor before implementing a new dietary regime.